Home Cover Feature OUR BEAD-IFUL WORLD…Exciting new bead collections!!! 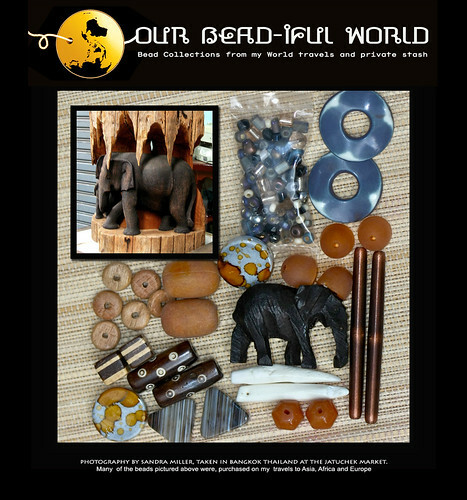 OUR BEAD-IFUL WORLD…Exciting new bead collections!!! Back by popular demand!! The bead collections have returned!!! These are the same exquisite groupings of my travel beads and private stash as the previous BEAD BENTO BOWLS but without the bowl. This new method of photographing the beads allows for a much better view of each little treasure plus gives me the fun of coordinating the beads to my photography which is such an integral part of my bead collecting…. as well as helping keep the prices down . The bead bowls were very labor intensive to photograph and list which is why I had to stop and rethink the presentation. I hope you enjoy seeing the parts of the world where your beads are coming from in these new collages!! Each Collection features SURPRISE BONUS BEADS and FREE US SHIPPING in July so this is an added value of over 4.00 per set!! Click arrow below to view the images of where I shop around the globe! Let me know when you are done shopping each week and I will ship as soon as you are finished.